23 year old Sung Min from Seoul is presently a student of psychology in university. Her interests include Korean dancing, yoga and skating. She adores animals and illustrates herself as a very humble, honest and positive person. Kim stands 5'7.5" tall and speaks Korean and English. She was the 2nd placer in Miss World Korea 2011 pageant and was appointed by her national director, Jeong-ah Park to compete and represent the country in this year's Miss World contest. Her pesonal motto in life is "Do your best." 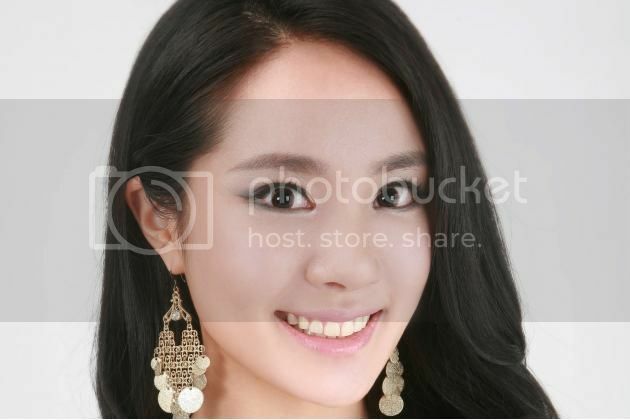 Sung Min in behalf of the Koreans will compete against other 119 beauties for the title of Miss World 2012 which celebrates the grand finale on August 18 in Ordos, Inner Mongolia at the People's Republic of China. It is one of the most celebrated and the oldest surviving beauty contests in the world since 1951. If ever she wins the crown, she will stay in London entire her reign and will travel to represent the Miss World Organization and its various causes. Do you think Miss Korea has what it takes to win the crown?